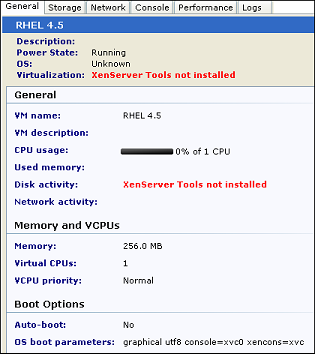 我們就可以開始安 Linux Guest VM ,按下 New VM 你可以看到目前 XenServer 有支援的 OS的列表.其中的 Debian Eth4.0/Debian Sarge 3.1 是屬於 built-in distribution ,也就是說他們不需要再經過安裝的步驟,直接新增 VM 然後用預設值就可以直接使用了.所以在這裡就不講使用方式.下面為範例的是 Red Hat Enterprise Linux 4.5. 安裝 Guest 和我們一般安裝 OS 時是一樣的.不過很可惜的是安裝 Linux Guest OS 時只有文字介面.而且預設也沒有 X windows 必須透過 VNC(Virtual Network Computing) 才會有 X window 下面會再介紹如何設定 VNC. 安裝完 Linux Guest OS 後還要安裝一項東西 "Linux guest agent" ,我們可以使用 XenServer 所提供的虛擬 DVD Drive 如下圖所示,選擇 XenServer Tools – xs-tools.iso,這一個 iso 裡面就包括了 "Linux guest agent". 要特別注意的是,這裡的光碟機代號不是像一般我們使用的 /dev/cdrom 而是 /dev/xvdd ,根據 XenServer 的說法是,我們用的這個 DVD/CDROM 並不是"真"的裝置.所以在 XenCenter 或 CLI(Command Line Interface) 退出光碟時整個裝置也會跟著消失不見.但是一般的 /dev/cdrom 卻是聯結到真實的裝置位址,所以在 VM guest 無法沿用 /dev/cdrom 這個光碟裝置. 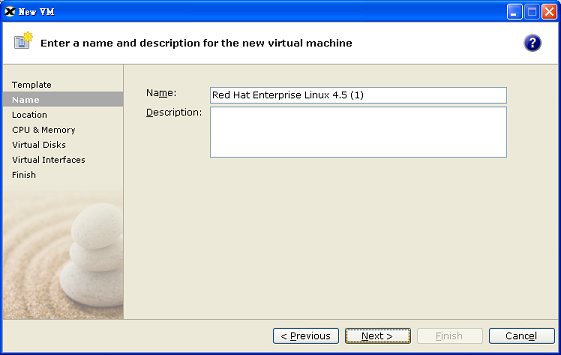 Detected `Red Hat Enterprise Linux AS release 4 (Nahant Update 6)' (rhel version 4). the default in grub configuration. 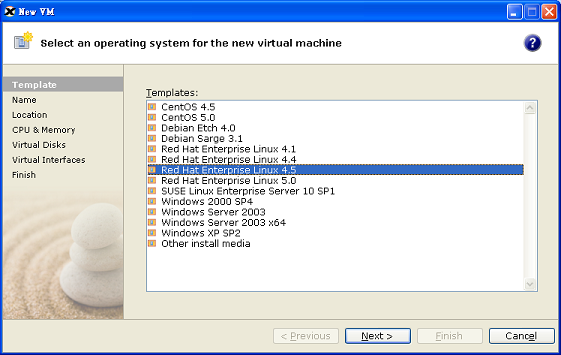 Linux distribution name and version (major, minor revision). IP address of each Ethernet interface. 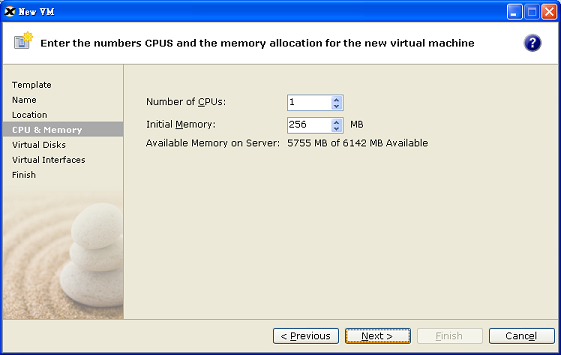 Total and free memory within the VM. 你可以在 General 看出明顯的差異點.安裝前和安裝 Linux guest agent 之後. 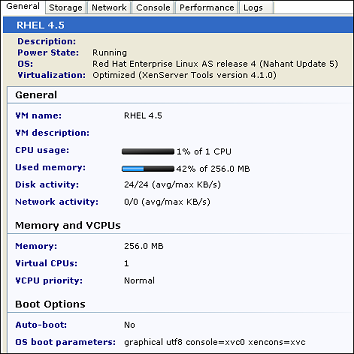 RedHat Enterprise Server 4/5 安裝完之後就可以開始設定 GDM(GNOME Display Manager) 和 VNC(Virtual Network Computing) 這樣才會有圖形介面,廢話不多說下面就是如何設定. 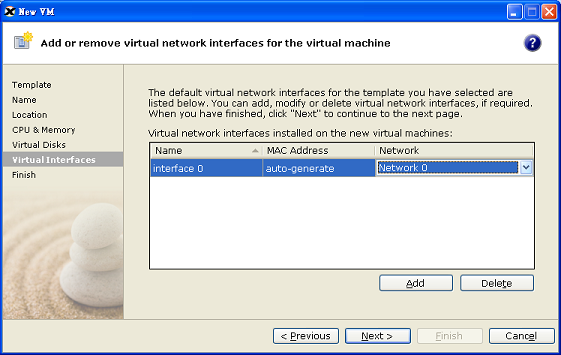 VNC Display-0 預設使用 port 5900 的 port,VNC Display-1 預設使用 port 5901 的 port 以此類推,不同版本的 RedHat 使用不同的指令,如下所示. 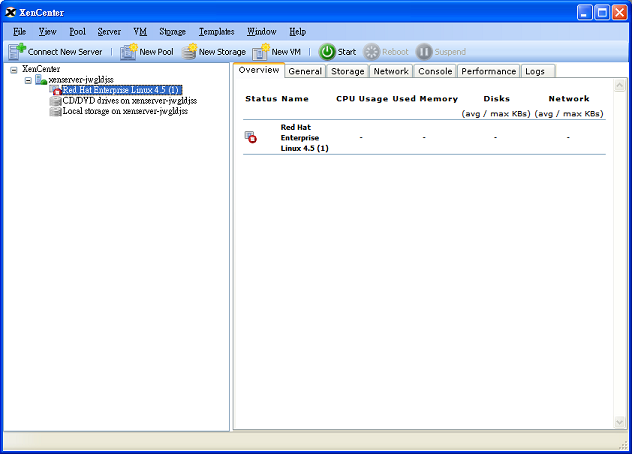 Red Hat Linux 3, use redhat-config-securitylevel-tui. 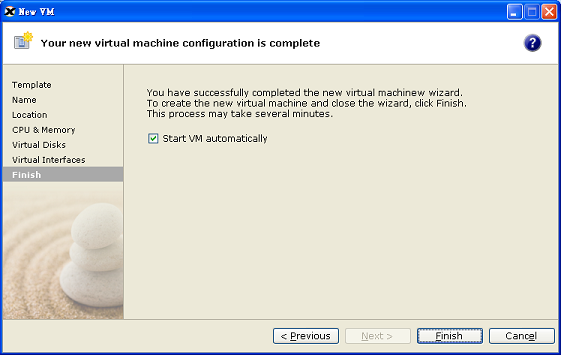 #使用 chkconfig 可以讓系統開機時就能把 vncserver 開啟. 如果設定正確,而且進入 run level 5 那你會在右上方會看到一個 "switch to Graphical Console",就可以將會面切換至圖形介面. 如果他還是呈現反灰的樣式,而且啟動 vncserver 時顯示出 Fatal server error ,你可以檢查一下 /var/log/gdm/:.log 看是設定檔還是有哪邊有錯誤.